Digital Extremes is humbled and proud to announce today its cooperative online hit WARFRAME® has reached nearly 50 million registered online users on its sixth anniversary, making 2018 its biggest year of growth to date. 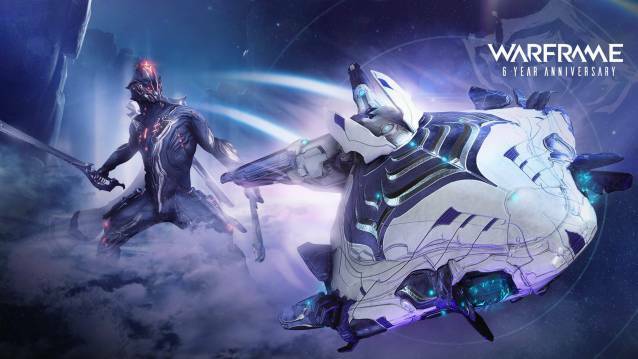 To celebrate the occasion, it is giving birthday gifts to all Tenno for free this Wednesday, March 27, including a brand new exclusive Liset (landing craft) Skin, last year's amazing Dex Excalibur skin, and all its previous anniversary gifts! The year 2018 was explosive for WARFRAME® Digital Extremes' flagship title saw unprecedented growth as players dug into 111 hotfixes and 26 updates, played Warframe for the first time on Nintendo Switch™, and tuned into TennoLive and our Devstreams in record numbers. As a result, Warframe grew from 38 million registered online users in March 2018 to nearly 50 million in March 2019, its largest yearly registered user growth yet. This year, Digital Extremes already has launched two major updates with many more in the works. In late February, Nightwave kicked off the company's first-ever cross-platform content update that refreshed Warframe's Alert System with seasonal, story-based content and rewards. Two weeks later the dev team turned around and gave Tenno Operation: Buried Debts, the second massive update to Fortuna that introduced Hildryn, Deck 12, and an all new boss fight. And that's just the start! Warframe's dev team is deep in development with the Plains of Eidolon Remaster and Gas City Remaster updates -- two gameplay and graphical overhauls that renew both areas -- and exciting, game-changing updates like The New War and Railjack. Tune into our bi-weekly Devstreams and TennoLive on Saturday, July 6 at TennoCon to stay up to date on these exciting updates! There has never been a better time to play Warframe. Log in to celebrate with us today!